Beauty Joomla Theme was created by the best experts in the web design industry. The design possesses virtually every perk Joomla supplies, it truly is user friendly and easy to customize. We promise your beauty company website will end up prosperous. Modern-day style, fashionable color palette, straightforward navigation together with completely responsive layout will certainly help with this. This body massage salon template is designed in soft natural colors that make a relaxing effect on the viewer. Neat main menu of massage Joomla theme has drop down option. Full screen slider images convey calm and peaceful atmosphere of the salon. Company services are supplied with nice big photos. Simple circular icons add a special charm to the layout. Built in Google map is also available. Back to top button and social sharing block are at the footer of the web page. They are placed over the blurred image and seem to soar over it. 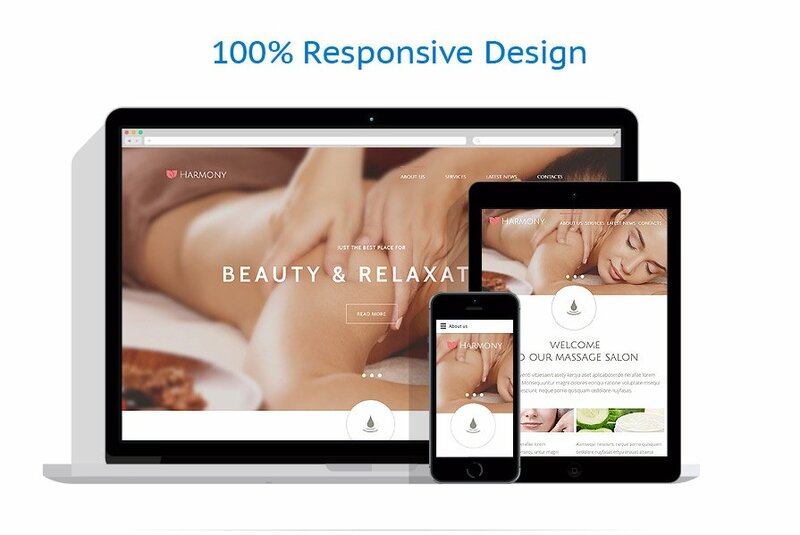 Choose this theme for your massage, beauty and healthcare websites.